What are some of the big themes of this course? One of the central themes of the course is to determine how religious practice changes and evolves according to space in time and cultural context. How do Muslim women regard the role of faith and practice in their lives differently than Muslim men? When have they been in control of shaping their own destinies and when have others shaped it for them? Can you introduce us to some of the Muslim women students will meet in HIS328G? We will read about some key figures in early Islamic history like Khadija, Aisha, and Fatima. We will study Shajarat al-Durr, co-founder of the Mamluk dynasty, and contemporary figures like Benazhir Bhutto, Fatima Mernissi, Queen Noor of Jordan, etc…. We will read works by female academics like Leila Ahmed, Ingrid Mattson, Kecia Ali, Jamillah Karim, and others. However, I want to emphasize that a central part of the course is interacting with Muslim women from our own Minnesota community. So you will ACTUALLY meet some of my Muslim friends like Mariam and Mona Hannon, Mallerie Shirley, and others. What do you think students will enjoy most about it? What will they find most challenging? 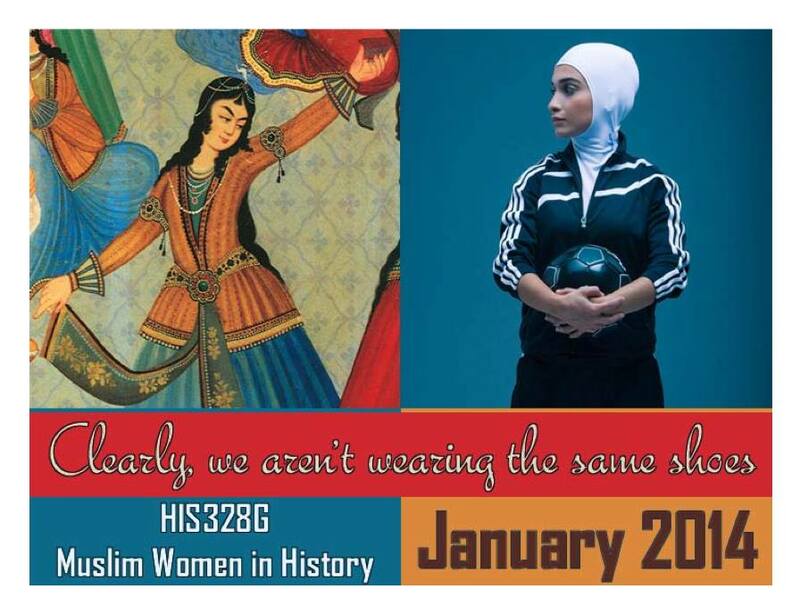 One of the things I love about women’s history is that it requires the teacher and the students to think outside the box in order to get to heart of the Muslim woman’s story. We have to rely on certain methods, like oral history, song, poetry, photos, and artifacts in order to piece together the roles women have played in shaping their societies because they often do not have a voice in written history. We will also be inviting Muslim women to have tea with us in our classroom, and we will share our own stories with one another. This is an important form of “cementing” history that women of all cultures have participated in throughout time. I think the challenge comes in confronting our own stereotypes and prejudice. We have to be willing to be honest about how the Christian community, at times, feeds the negativity that exists regarding Muslims and Islam. Interacting with stories and making personal connections breaks down that negativity. To be honest, sometimes we’re not quite ready to do it; it requires bravery and faith. One of the central themes of the course is the celebration of individual experience. We will dispel the myth that there is one singular type of Muslim woman, just as there is no singular type of Christian woman.